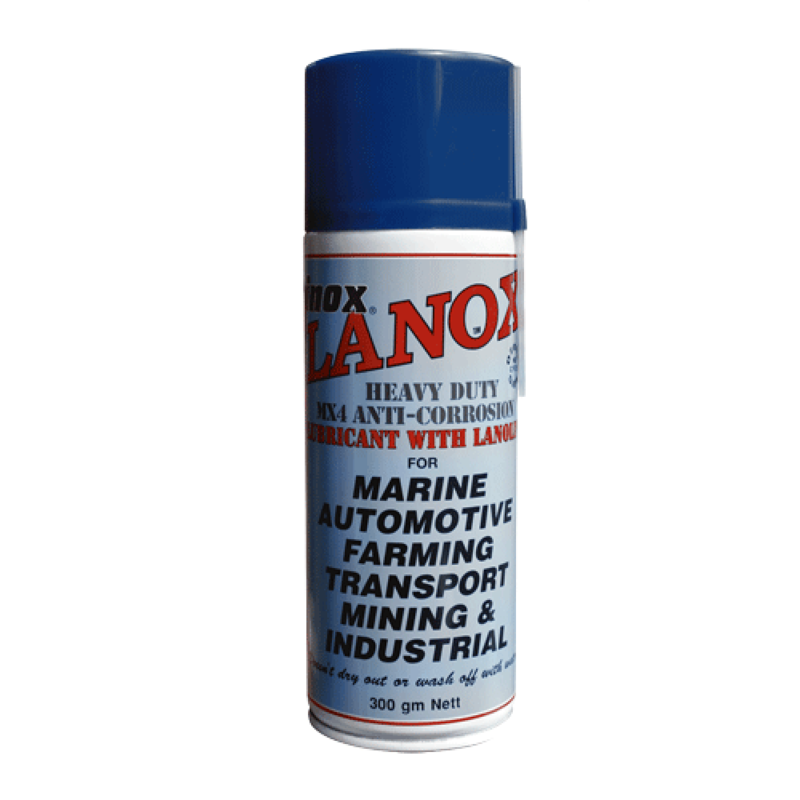 Lanox MX 4 is a heavy-duty anti-moisture, anti-corrosion lubricant made with a high grade lubricating oil and lanolin base with specialised chemical compounds. Lanox MX 4 contains no silicon, kerosene, acids or dieseline and is harmless to metal points & surfaces, plastics, painted & enamel finishes, fibreglass, formica, rubber or neoprene seals. Lanox does not become sticky, gooey or gum up, does not dry out or wash off with water and is non-conductive, non-static and non-corrosive.